Take an adventure tour with one of our outfitters below they know Copper Mountain and the area and only the best are listed here. Summer Adventure tours in Copper Mountain area include whitewater rafting from class one for the family or the inexperienced to class five for experienced thrill seeker. Go off roading in the backcountry on a atv, jeep or a 4x4, experience views by horseback, go zip lining, play golf on championship courses, families can enjoy a train ride through the mountains of Colorado, see the mountains from a kayak or go sailing, canoeing or rent a power boat. 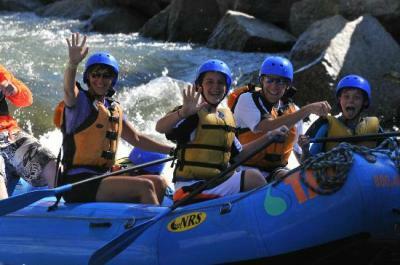 A Copper Mountain area summer is all about being part of nature check out the outfitters below.